USE Couple and restrain plain end pipe, also available with a flanged end. BODY Made from ASTM A 36 steel. 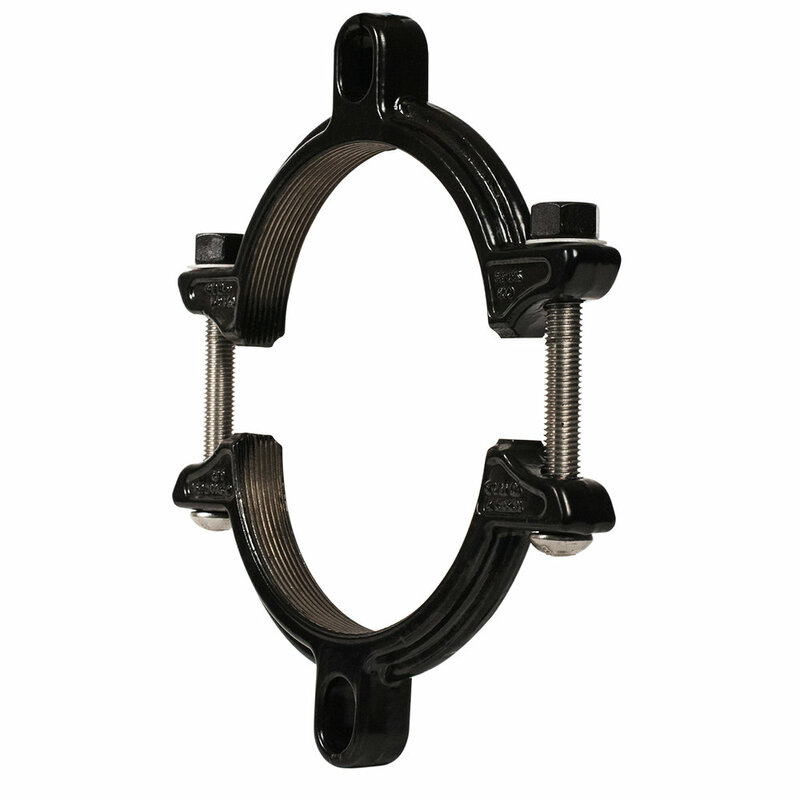 RESTRAINT GLAND Ductile (nodular) iron, meeting or exceeding ASTM A 536, Grade 65-45-12. Romac’s RomaGrip is used in the 400RG see RomaGrip Submittal for technical information. GASKETS Gaskets are made from rubber compounded for water and sewer service in accordance with ASTM D 2000 MBA810Z. Other compounds are available for petroleum, chemical, or high temperature service. BOLTS AND NUTS ASTM A 193 Grade B7 all-thread-rod. Nuts per ASTM A 194 Grade 2H. Type 304 and 316 Stainless Steel bolt material optional. COATINGS Shop coat applied to parts for corrosion protection in transit. Fusion bonded epoxy, RomaGrip Romabond polyester (12” – 24”), liquid epoxy and other coatings available on request.